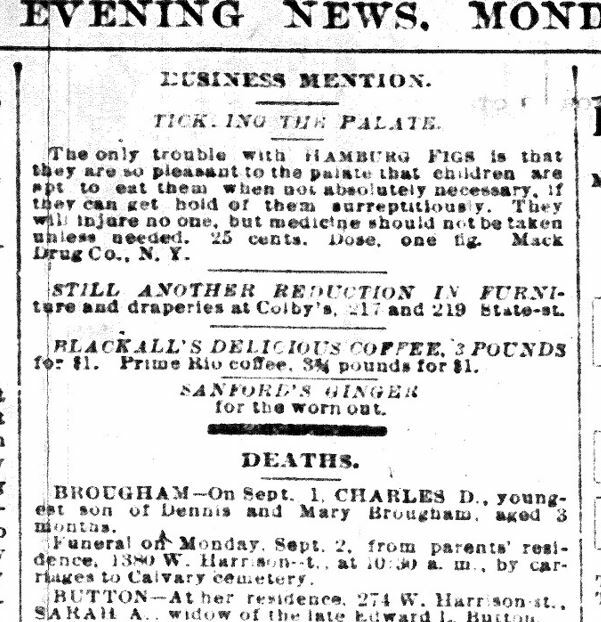 My transcription above is exactly as the notices appeared in the September 2, 1889 issue of the Chicago Daily News with the exception of quotation marks at the beginning and end of each obituary. Abbreviations, capitalizations and references to people, places and things are indicative of the era in which this information was published. When possible, the deceased are also memorialized on Find A Grave. The more of these I read the more I think things haven’t really changed that much. I think if we went back over 100 years people would seem the same to us. That exactly what I think! People often say how terrible the world has become but really, very little has changed.